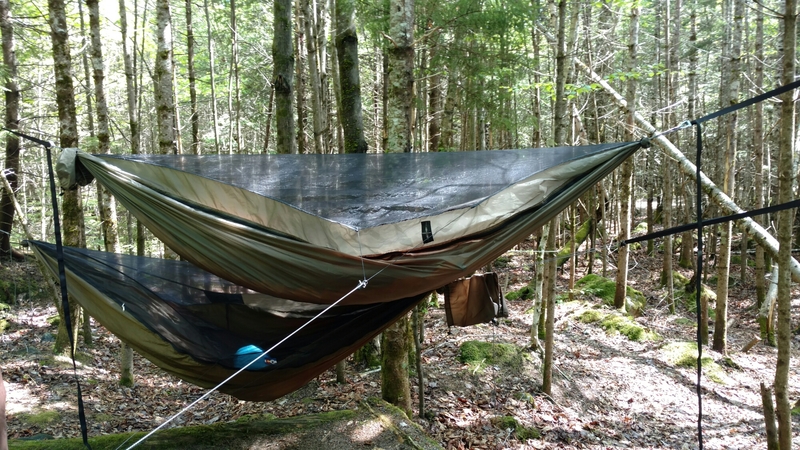 My Appalachian Trail experience so far has been somewhat unique – I hiked NoBo from Springer Mountain to Damascus Virginia solo. I then took a bus to Maine, summited Katahdin (which feels completely wrong after hiking only 470 miles) and began hiking south. My southbound journey has a twist – I chose to flip-flop in order to hike with my boyfriend who had been planning his SoBo hike with two friends for years- We met almost exactly two months before I left for Georgia. A month into my hike I decided to flip-flop once I reached Damascus. To some people, my decision to hike with someone I had only known a few months might sound risky or rushed. For me, I had nothing to lose. The worst that could happen is I decide push him off a cliff and resume hiking alone if we drove each other nuts. I’ll save a SoBo vs. NoBo hike analysis for later- at this point I’ve completed 470 NoBo miles and 740 SoBo. Today, I’m going to weigh in on the burning question of deciding if hiking with your significant other – or any other person – will increase or decrease your chances of success. You and your partner can argue all you want about boots vs trail runners, but if you cannot agree on a common goal, you cannot successfully hike together. Do you plan to hike 25+ miles a day and finish in 4 months? Would you rather hike shorter days and sacrifice zeroes? Is reaching that 2,189.1 mile mark the single most important thing in your life or would you rather take it a day at a time? 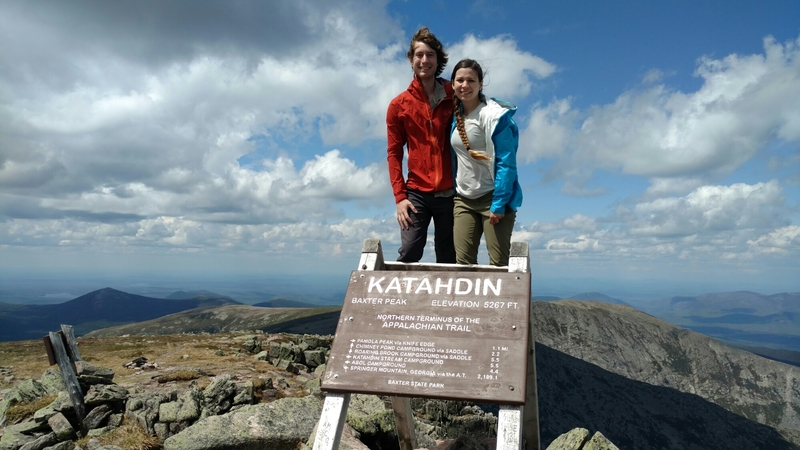 Every aspiring thru hiker wants to reach Katahdin, but not every hiker has to. If your partner has only decided to hike because you decided to, they may have a harder time continuing when it’s been raining for 3 days and their saturated shoes have rubbed holes through their feet. Decide where you stand and make sure you and your partner stand in the same place. If hiking NoBo, how important is this picture for you? Very few hikers have the luxury to spend whatever they want on the trail- The most frugal can thru hike on $2000 (excluding gear) while the most extravagant can spend $8000 or more. If your budget only allows for an occasional motel split with three other hikers arguments will follow when your partner isn’t as eager to split a room. Some differences, such as trail food or gear choices, may not be as big of an issue. Even if your budgets differ, discussing expectations about how much time (and money) you spend in town can prevent a lot of stress down the trail. Decide if coming to a compromise is worth it – you will always meet other hikers sharing the same financial situation as you. This varies for everyone. After hiking for a month and half by myself, having a hiking partner was a welcome change. If you plan on hiking separately during the day but camping together at night, make sure your partner is not expecting to stick together throughout the day. I have seen couples successfully hike separately during the day and equally as many hike together all day. Hiking pace may also play a role here if one person is notably faster. This goes hand-in-hand with how much alone time you require. Is hiking with your significant other as important as making friends with other hikers? Are you interested in developing your relationship and prefer to camp with just your partner rather than at crowded shelters? When hiking alone, you are more likely to stick with a group of trail friends for companionship and it is less difficult to do this when you do not have to factor someone else into your hiking schedule. With a partner, you will have constant companionship but it is more difficult to stick with a group when there’s two people to consider. A lot of fighting and strife can be prevented by not sharing gear. Sharing occasional-use items such as first aid kits or a backwash plunger for a Sawyer will not leave one of you screwed if you get in a fight and decide to camp away from each other. Of course if you decide to share a tent, you’ll have to sleep together whether you’re happy about it or not and only having one water filter won’t be a problem. Sharing some food may add variety to your diets, but sharing a stove can cause a hangry hiker to get violent when they’re waiting for their turn to cook. Sharing gear cuts weight but also cuts your ability to be separated when needed. Not getting woken up when your boyfriend gets up to pee for the third time that night is always a plus. How committed you are to each other is as important as how committed you are to finishing the trail. If your significant other quits the trail, will you continue? Should you break up, will you continue or do you need someone else’s support? Hiking together will bring out the best and the worst in both of you. You may find out you make terrible hiking partners even if you are successful couple. Hopefully the opposite is true and hiking together brings you closer together. 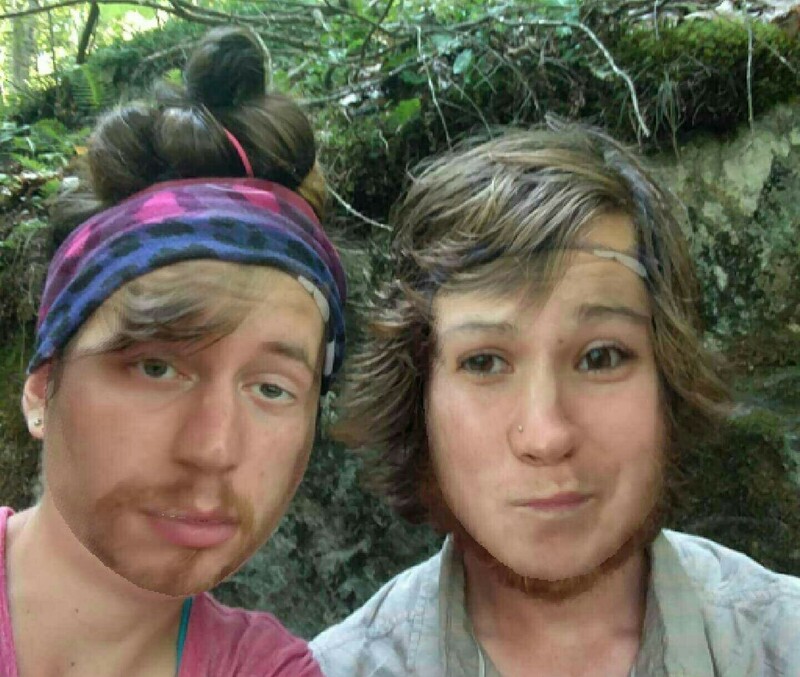 Hiking together will bring out the best (Snapchat filters). Interested in daily updates on my hike? Check out my Instagram.